While some argue that Corporate Social Responsibilities (CSR) should not be intertwined with public relations, sharing such initiatives with customers can improve brand image as well as add more people on the bandwagon to contribute to the cause. People take in a sense of pride when they buy a product with some environmental benefit, or donate to charity while purchasing a product. 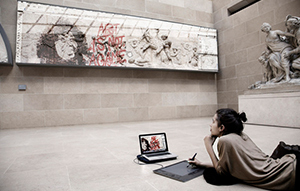 Moreover, customers are more likely to trust brands that back social causes. People are increasingly sharing welfare posts by brands on social media, increasing word of mouth, triggering emotional response, and helping brands build goodwill. If you are not spreading a word about your CSR initiatives, you are missing out on many potential customers. Here are some ways to aware and engage people with brand CSR initiatives. Every cause has a human story. Be it a video, small interview, or a picture, it fosters an emotional connect with people. For instance, the American restaurant company Chipotle, launched an animated video to take viewers through a farmer’s change of heart – from running a huge industrialised farming compound to one with more sustainable and humane practices. The brand encouraged viewers to download the song in the video from iTunes, with proceeds going to the Chipotle Cultivate Foundation. The brand created a loyalty program that didn’t reward customers who frequent the chain but who had knowledge of issues in the food-industry. The video was widely appreciated and became so famous that its was played in thousands of movie theaters and at Grammys too! Weather it is through cause marketing, purpose-driven business or CSR, creating content around causes, issues, demonstrate values and better connect with consumers. One of the most effective can be sharing startling facts, or showcasing a company initiative’s success story through data. It helps customers understand the impact of choosing a product supporting a cause. ITC Limited’s stationary brand ‘Classmate’ carries CSR on the back of its products. For every four classmate notebooks purchased, the company contributes INR 1 to its social development initiative that supports, among other projects, primary education. Displaying these messages on the product can evoke a sense of responsibility and thus help increase sales. Similarly, Lush Cosmetics sells bathing and beauty products with natural ‘fair trade’ ingredients. 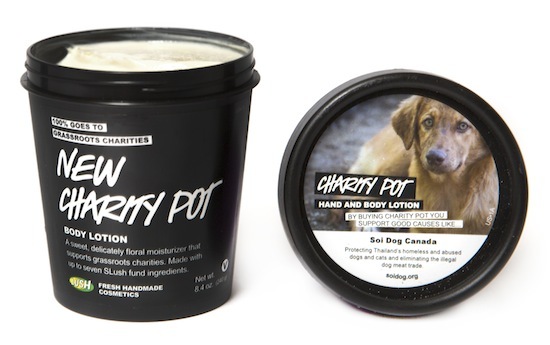 The proceeds from brand’s ‘Charity Pot’ directly go to chosen non-profit organisations, resulting in millions of dollars raised. Packaging is just one indicator of how easy it is for people to support good causes only by purchasing containers. The brand uses labels on the top of pots to inform consumers who the recipients are by clearly stating the designated charity concerned. For branding and marketing solutions, contact Asiacom.